Today, I am going to discuss WordPress hosting vs web hosting. It can also be termed as WordPress hosting vs shared hosting. 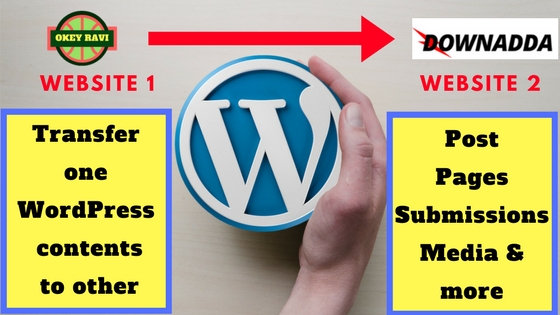 When we create a WordPress website, the important thing that strikes into our mind is which hosting plan you should take? WordPress managed hosting, web hosting, dedicated servers, cloud hosting or business hosting. We will see all the key differences between them. It will help you to decide which is better. This post is basically for beginner bloggers who are not looking into the cloud or dedicated servers. The main reason is obviously the amount of money you need to spend on those hosting. A beginner blogger doesn’t have that much amount of money as I think. What do you think about this? Comment below. 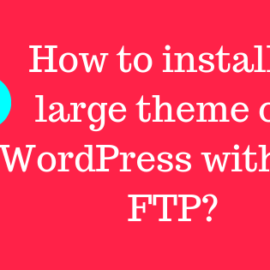 So, basically the topic will revolve around WordPress managed hosting and web hosting. Web hosting is also called as shared hosting. Let’s have a look at the key differences between them. Hosting is a critical aspect of any online business. Without a proper hosting plan, things will not in favor of you. I have written a separate post on what are the things which you need to keep in mind while choosing a hosting plan. Read recommended – How to choose a best hosting plan? To especially cater the WordPress website “Managed WordPress Hosting” is designed. So, you can say it is tailored for WordPress websites. This hosting has a lot of good features to look into. Have a look at it’s features. 1.Incredibly fast – WordPress hosting is offering a very good optimized speed. The loading time of your website will be incredibly fast. This type of hosting will drop your page load time and average response time of your website in seconds. This matters a lot for Google and in terms of website SEO. 2. Much more secure – Increased website protocols and more individualized attention is provided to the users by most of the WordPress hosting providers. Regular security checks are performed. 3. 99.99 percent uptime – The uptime of a managed WordPress hosting is very high. On an average, the uptime is 99.5% which is good. 4. Up to date servers – They always ensure to run the server on the latest software. The main goal is to keep your website up to date as well. 5. More Customized – In a WordPress hosting most of the customization are already done. That’s why you don’t have cPanel access there. 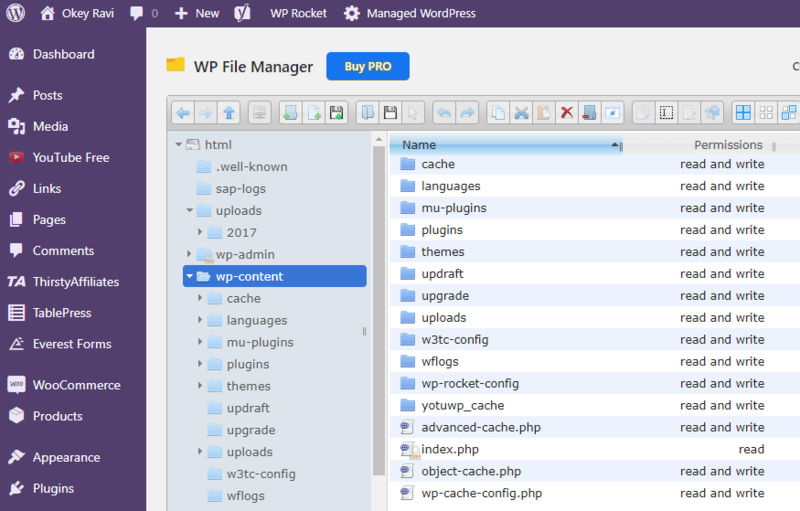 But, if you want to access cPanel in a managed WordPress hosting then you can use the WP File Manager Plugin. 6. Automatic Backup – Most of the Web Hosting providers provide automatic and scheduled backup for the website hosted on this hosting. GoDaddy provides through GoDaddy Dashboard. You can also do the same with ManageWP which is an alternative of Godaddy pro dashboard. 7. 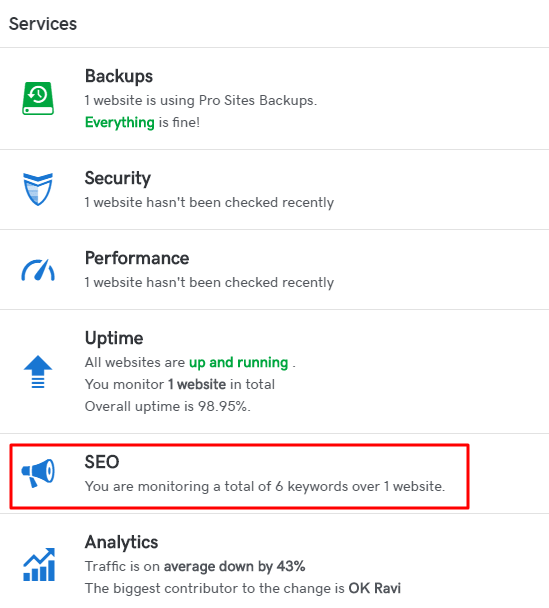 SEO monitor – I have seen this feature on GoDaddy, where you can manage your website SEO also. You can check with your hosting provider if you don’t have this feature. It might be paid or needs some additional charges with hosting. 8. One Click WordPress Install – WordPress installation is very easy in Managed WordPress. 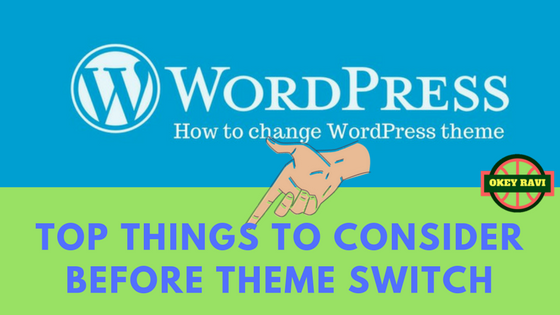 You can also “reset” your WordPress anytime by using the reset button. The reset button is available at hosting dashboard. It may be termed as ‘remove’. 9. One Click Restore – Like taking a backup, restoration of files are also quite easy. Some of the hosting providers provides option to keep 1 month backup. At Godaddy I have access to my last three months backup. 10. Dedicated Customer support – This is also a prime advantage of managed WordPress hosting. Dedicate support is there to help you 24×7. There is a great advantage of web hosting if you are just started building your website and you are unsure about the success of it. Web hosting is a great option for you in this case. But if you are sure that you are going to get lakhs of traffic then you need to take dedicated servers, cloud/VPS hosting or business hosting, web hosting is not suitable for that. As you might know in a web hosting a system is shared between different hundreds of allocated users. You are just a slice of it. It might be in thousands and you are totally unaware of the security measures of those websites. In a web hosting, the resources on the server is divided between every website using the server. It means if a website on that server is experiencing a large amount of traffic then your website may slow down for that time due to lack of proper resource. It is not tailored like managed WordPress hosting but It has a feature which a managed WordPress hosting doesn’t have. “The cPanel access”, yes, WordPress hosting doesn’t has CPanel. This is a prime reason to use web hosting. It is not CMS dependent. You can run any type of website on a Shared or Web hosting. It can be a WordPress, PHP, html, Drupa, Joomla or any other CMS website. If you ask my suggestions on which hosting should you use? Then I will suggest you to go with WordPress managed hosting if you are building a WordPress website. If you are not sure about what type of website will you build then go for Shared Hosting. It is good for a starter and later if you see a hike in your website traffic then upgrade the plan or shift to dedicated or cloud servers. If you have any questions in your mind. Leave that in comment below. Hey Sarang, thanks for your appreciation.